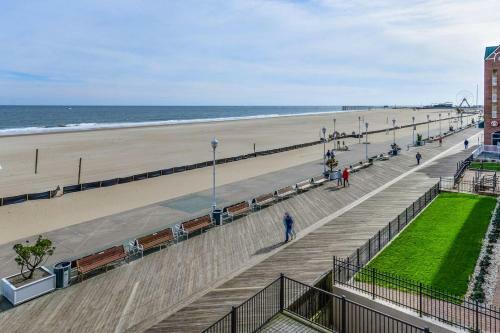 Golden Beach Condo 302 Condo in Ocean City is a holiday home with 1 room. Situated in Ocean City, Golden Beach Condo 302 Condo features accommodation with a balcony and free WiFi. The property is 800 metres from Ocean City H...arbor and less than 1 km from Ocean City Boardwalk. This air-conditioned apartment is fitted with 2 bedrooms, a cable TV, and a kitchen. Jolly Roger at the Pier is a 13-minute walk from the apartment. The nearest airport is Salisbury-Ocean City Wicomico Regional Airport, 47 km from Golden Beach Condo 302 Condo. When would you like to stay at Golden Beach Condo 302 Condo?